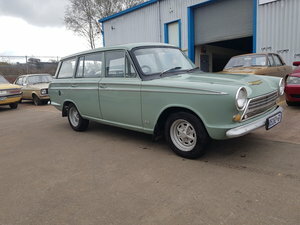 1965 MK1 Lotus Cortina Alan Mann race/rally /sprint replica. 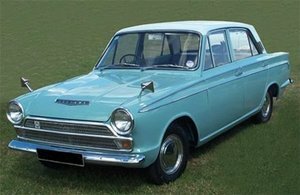 2015 MSA log book as Lotus Cortina , normal V5 states Ford Cortina 1600cc . 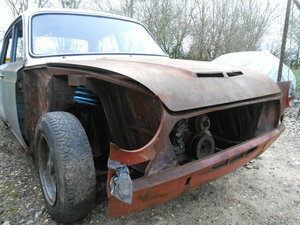 Been garaged for the last couple of years but starts and drives but brakes are binding so will need looking at . 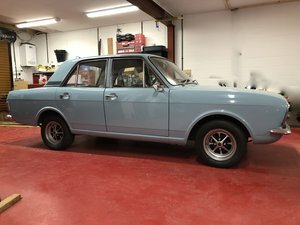 What I know about the car : Was told that its all Steele 1558cc Twincam ( cant guarantee that tho), 2000E box, BRM cam cover, oil catch tank, strut brace, front coil overs , genuine rare wide Lotus steels 6"x13 , LSD, eccentric top munts , hydraulic handbrake, race timer Fibre glass doors ,boot and bonnet, outside emergency cut out witches, full cage & harness , Lotus dash & clocks , Perspex side glass , inside mounted servo, brake/power cables and brake lines , electric fuel pump , 2 gallon sprint fuel tank and lager one to fit , all Lotus mods to shell , ie boot hump , tramp bars , saddles on chassis etc . There are other parts ive probably forgotten too. 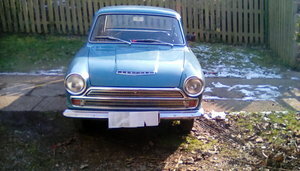 The car needs a bit of TLC to the paint but in good general condition for 52 years old , but it has been raced so expect some ware/ wounds etc . 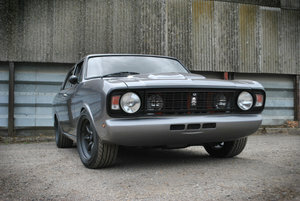 This is not a genuine Alan Mann car but its not 150k Please no anoraks or know-alls pointing out whats wrong , its not genuine , its to be used a driven as it should be .. 07885 410510 for any other info may px , always interested in other classic Fords , sensible offers welcome, the car would break for a fortune ….. DEAL UP DOWN-CLASSIC /MODERN/ VIEWING WELCOME BUT BY STRICT APPOINTMENT ONLY . CAN ARRANGE DELIVER AT COST .